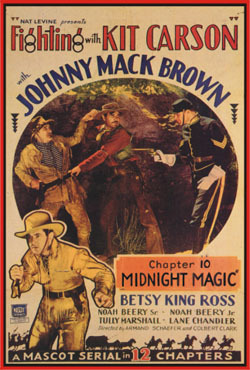 (1933 Mascot) - Johnny Mack Brown, Betsy King Ross, Noah Beery, Sr. & Jr. 12 chapters. A pack train led by Kit Carson is attacked by mystery riders who want to steal a federal gold shipment. 16mm.